Mariah Carey was added to the long list of artists allegedly caught lip-syncing at the 89th Annual Macy’s Thanksgiving Day Parade Thursday. 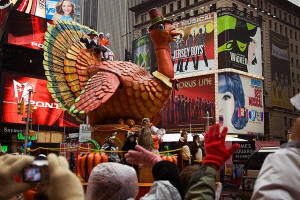 With an immense list of shameful Thanksgiving parade lip-syncers, involving The Beach Boys, Kiss, Kristin Chenoweth, Lifehouse, Scotty McCreery and more, artists get called out every year for faking their performances. Although most lip-syncing discourse comes in the form of angry tweets, there is some merit in Daughtry’s remark. For years, it’s been fairly common knowledge that parade performances are pre-recorded, or use a backing track. This is due to a number of distracting or performance-hindering conditions on the Manhattan streets. The performers are on moving floats, surrounded by competing floats with their own live acts. Additionally, high winds and other hazardous weather conditions (which could potentially threaten a float performance) are avoided when lip-syncing is used. 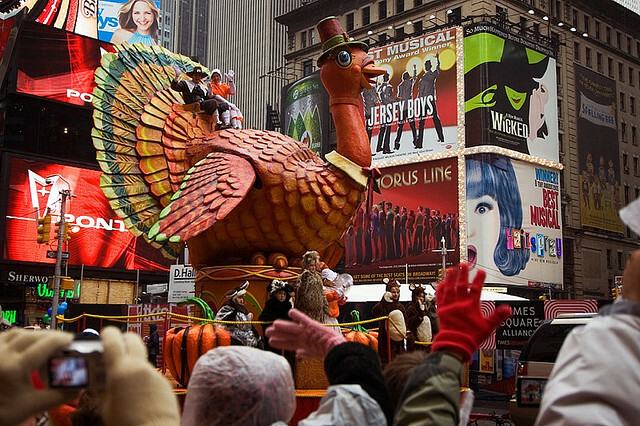 For a tradition as old and as celebrated as the Thanksgiving Day Parade, one would think Americans would get used to a few singing slip-ups. After all, there have been plenty of other disasters at this parade. Even as early as 1927, the giant balloons have been the cause of sometimes humorous, sometimes lethal destruction. In 1931, the giant Felix the Cat balloon was caught in some telephone wires and went up in flames. Prior to 1933, balloons were released into the air when the parade finished, letting them float around New York City. A $100 reward was then offered for those who could retrieve the deflated sacks, but when one pilot died in the attempt, the practice ended. In 1997, a Cat in the Hat balloon hit a lamppost, causing debris to fall and one audience member to go into a coma for a month. With more than 3 million people in attendance each year, and more than 50 million at-home viewers, there is a lot on the line when the floats and their performers make their journey to Herald Square. It is commercial event that — like many holiday enterprises — has made a place for itself in the traditions of American families, with its own sentimental value. The 10,000 Thanksgiving Day Parade workers are not simply there as part of Macy’s (which is the second largest helium consumer after the U.S. Government) — they are there to protect the holiday spirit.